Forrás: Metro. Szerző: Ashitha Nagesh. Yet another woman has been left with severe scarring and blistering from ‘black henna’. As henna designs are increasingly fashionable all around the world, people are at greater risk than ever of being tricked into using something dangerous – and illegal. But don’t be put off henna completely – there are two very, very different types of henna out there. First, there’s the natural, green henna, also known as ‘mehndi’, which has been used for thousands of years. It is still applied to women before their weddings, religious festivals, or even for music videos. Then there’s so-called ‘black henna’ – which isn’t actually henna at all. It is just hair dye applied to the skin in a ‘henna’ design. can be extremely dangerous, and even potentially fatal for those who turn out to be allergic. It also happens to be illegal in the UK. Metro.co.uk spoke about ‘black henna’ with Ash Kumar, a world-renowned mehndi artist who has been in the business for around 17 years. You’ve probably already seen his art in major Bollywood and Hollywood films, such as Devdas and Kabhi Kushi Kabhi Gham. He also has two Guinness World Records under his belt for being the fastest mehndi artist in the world, has opened mehndi schools in the UK, US and Canada. So, naturally, he feels very strongly that people use real mehndi and avoid black ‘henna’ like the plague. What is ‘black henna’, and what’s the difference? ‘There is actually no such thing as black “henna”,’ Ash told Metro.co.uk. ‘So-called black “henna” is a henna design on the skin, using black hair dye and chemical products which have paraphenylenediamine (PPD) and peroxide in them, which can be very harmful to the skin. 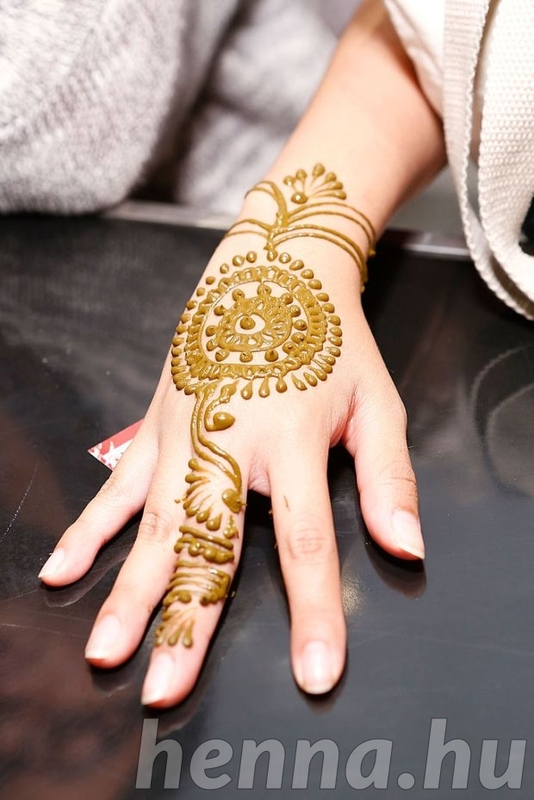 Can you – or should you – get black henna in the UK? NO. Not only is black ‘henna’ dangerous and unnatural – it’s illegal in the UK and the US. So if you see it being sold in this country, or someone tries to use it on you, it’s not legal. Under EU regulations, the chemical PPD is only permitted for use in hair dye – and even then it is tightly regulated, because of the health risks associated with it. Aside from the legal risks, it can also leave you with permanent scarring, anaphylactic shocks, and can seep into the bloodstream. Can you tell the difference just by looking at it? Yes – quite easily, once you know what you’re looking for. If the henna being used is ‘black, gloopy and completely odourless’, according to Ash, then that’s black ‘henna’ and you should avoid putting it on your skin. If it’s an olive green-brown colour and smells strongly of eucalyptus, then it’s natural and you’re okay to use it. What colour is natural henna – can you get a black version? No. Natural henna is never, ever black. Here are the colours you should look out for. When natural henna is in paste form, before and during application, it’s an olive green colour. 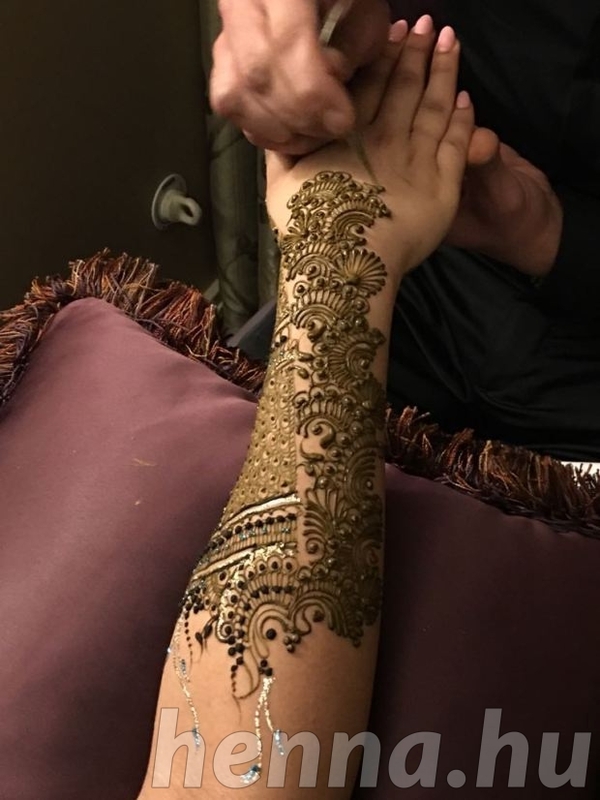 Mehndi by @ashkumar_beauty! And champagne with a straw 😂🥂🍾 #mehndi #champagne #ashkumar #art #indianart #wedding #bride #gettingmarried #gettingmarriedsoon #henna #mehndiart #mehndiartist #hennaparty #mehndiparty #bridalmehndi #bride #yay! After a few hours the henna starts to harden and flake off – by which point it’s a darker greenish-brown colour. By the time the paste flakes off, it will have left a stain on the skin. This will be a light-to-medium orange or maroon colour. The next morning the colour will have deepened, either to a dark orange or a dark maroon. Flash forward one more day – two days after the mehndi was first applied – and the stain becomes its darkest colour. How long has henna been around? 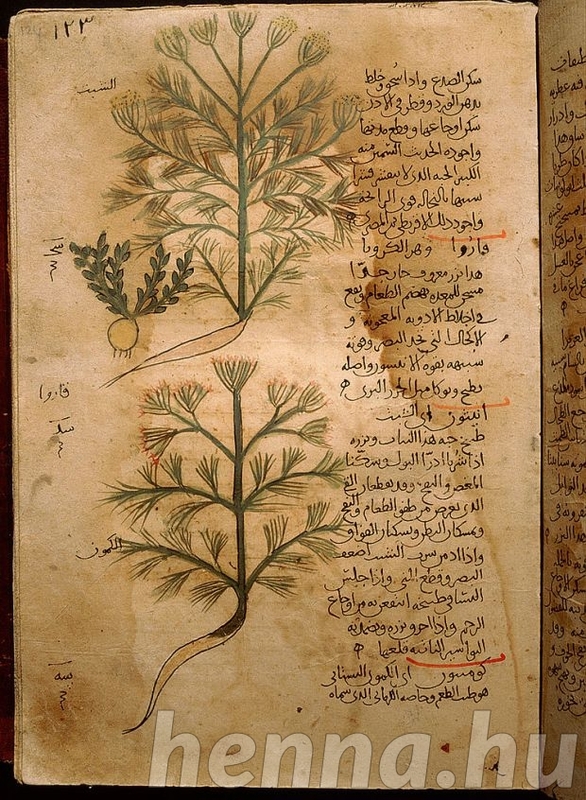 ‘Natural henna has been around for at least 5,000 years or more,’ Ash explained. ‘It has medicinal properties, and is used by people of many different religions to celebrate occasions and festivals around the world – most famously weddings. ‘Cleopatra used to use it on her eyelids, and that’s why we use eyeliner today. People also used to use it on the feet as part of reflexology treatments. Folio 37r of the Arabic version of Dioscorides De Materia Medica, Rosa sempervirens and Henna. Islamic. 987 990. Samarkand. 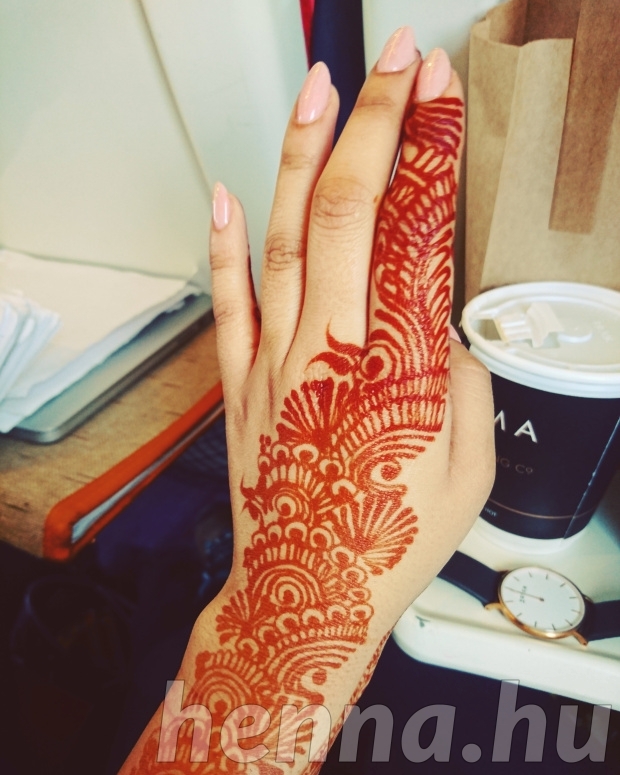 ‘One of henna’s natural properties is to draw heat out from the body,’ Ash told Metro.co.uk. ‘When it’s applied, it has a very cooling sensation. What should I do if I’ve used black ‘henna’? The British Skin Foundation recommends you go to a doctor ASAP. 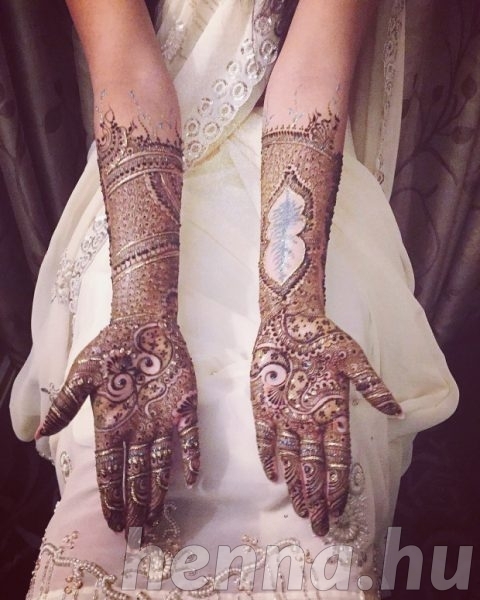 ‘If you have used black henna and suspect you are suffering a reaction, the best thing to do is seek medical advice immediately,’ Dr Anjali Mahto, a consultant dermatologist and BSF spokeswoman, told Metro.co.uk. ‘Black henna tattoos often contain unregulated, high levels of PPD that can cause skin sensitivity and, more seriously, potential long-term damage such as scarring or – rarely – anaphylaxis. ‘If someone reacts to a black henna tattoo, then there is every possibility that they are sensitive or allergic to PPD, which is found in many permanent dark hair dyes.